Mobile Apps We put ImproMed technology at your fingertips with a product line that gives you information on the go. All mobile apps work with iOS or Android mobile devices. 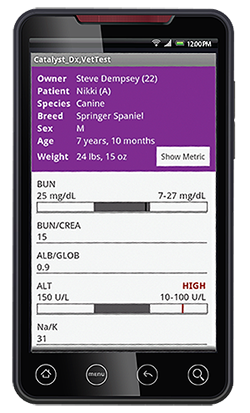 ImproView is a revolutionary app designed specifically for veterinary professionals using ImproMed software. Access patient and client information from your ImproMed database, anywhere, anytime. View client contact information, rabies tags, and medical records, review account balances, upload images, and more all from your mobile device. I have been very satisfied with the one stop access this application offers. The integration of data, maps and contacts is flawless and easy to navigate. Monitor your practice's vitals from anywhere! The pulse of your businesses’ profitability is here in one, easy-to-use app. You can search revenue, payments, transactions and accounts receivable to get a financial snapshot of your clinic on the go. Not currently compatible with Apple iOS 11. Easily access lab results anywhere, anytime. Improve your patient care by having lab results anywhere, anytime. Lab Retriever allows you to search lab results by patient, client, date, account number and more. 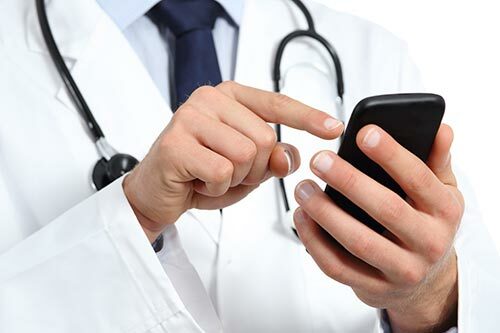 The ImproMed support team is available right from your smartphone! You can post or search message boards, watch videos or listen to podcasts, even submit support requests. With iCAN, the entire team is in the palm of your hand.